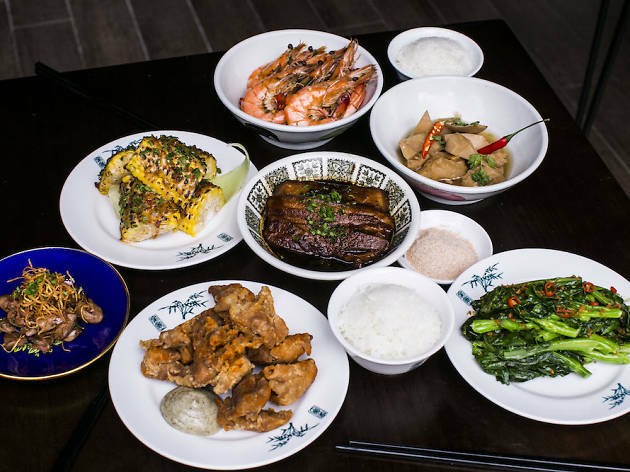 Dining out in Singapore can be expensive – but not if you know where to look. 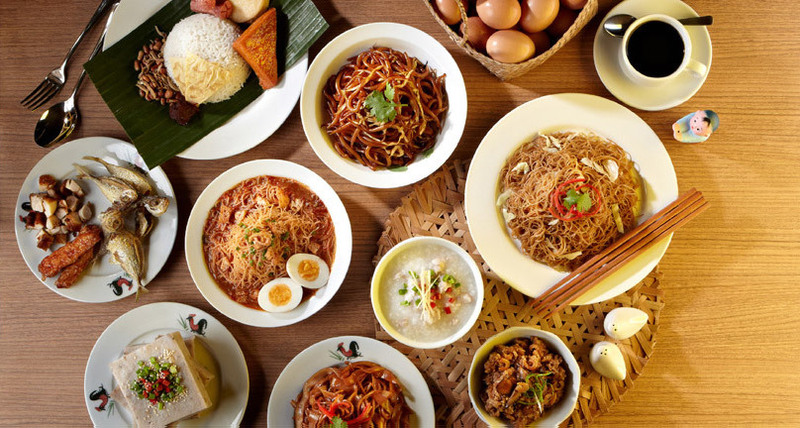 If you're looking to switch up from the usual long queues at your favourite hawker centre, these lunch spots provide a satisfying meal for under $10. When it comes to choices, this city does not disappoint. 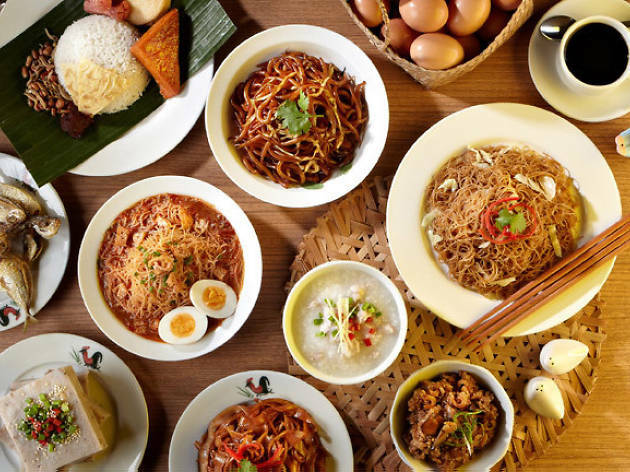 Whether it is a comforting bowl of noodles you seek, or a stack of crispy and dough-y roti prata you crave, we've got all your food needs covered. Here's helping you spend less on lunch so you can splurge on the things that matter. 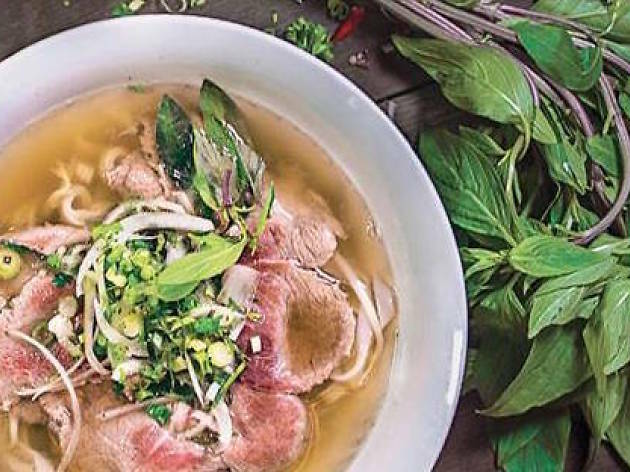 From set meals to local favourites, these are the best cheap eats in the city. 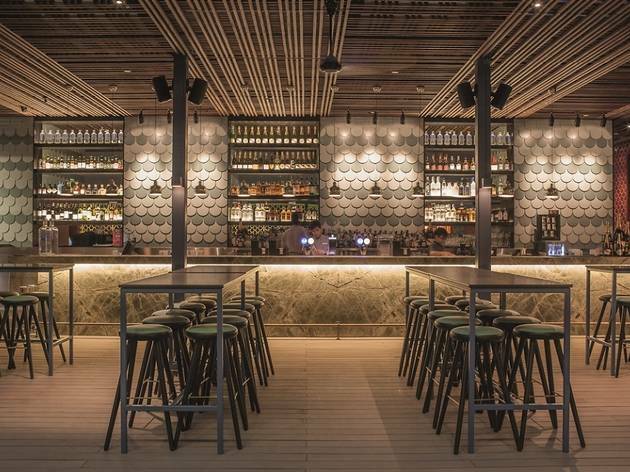 Joining the stable of bars and eateries under Coterie Concepts like Sum Yi Tai, Mona Lounge, and Eliza, Chi Kinjo is a modern Japanese izakaya that specialises in mod-sushi and whiskey highballs – even for lunch. 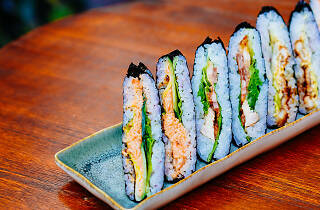 The sushi sandwich is a creation by chef Lamley and incorporates flavours across cultures. 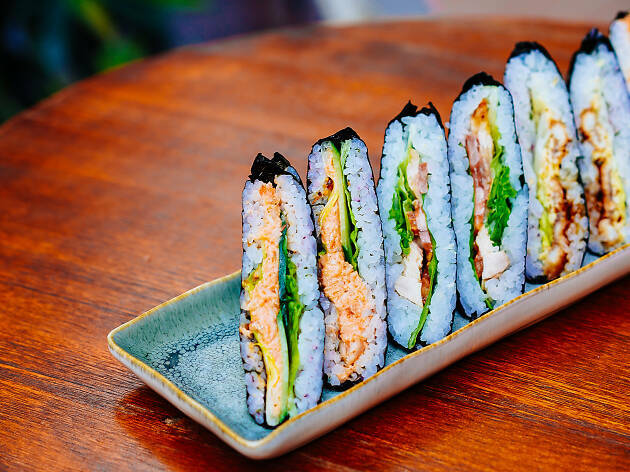 The Asian Prawn Cocktail sushi sandwich is made with tiger prawns, chili shrimp paste, cucumbers and lettuce, and the Sake Sunrise sushi sandwich is stuffed with cured salmon, tobiko, cheese, avocado and lettuce. For $8, the sushi sandwich comes with a salad and your choice of dipping sauce – choose from garlic miso, red pepper, wasabi yuzu and yuzu olive. The menu is simple. Either you go with dumplings or noodles at this joint and even with the little choices it has on the menu, it's still difficult making choices. 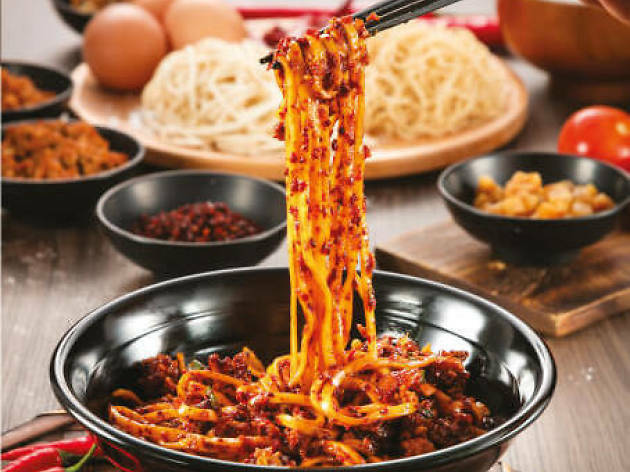 Noodle bowls start from $5 and come in delightful flavours like miso mushroom noodles and Sichuan pork noodles. The crowd favourites are the dumplings and for $7 you can get a whole plate for yourself. 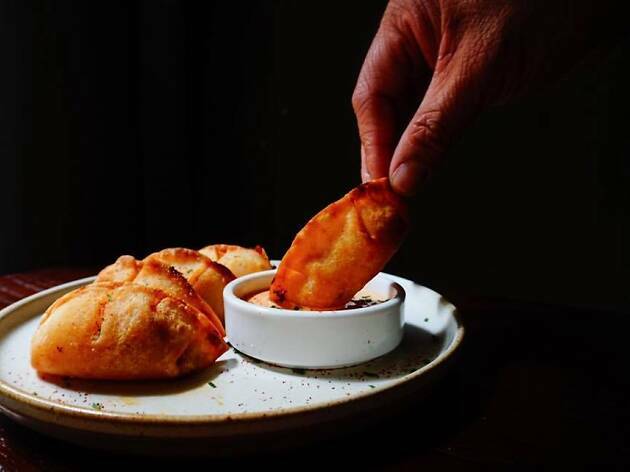 Try the pierogis ($8) which are stuffed with smoked bacon, truffle potato, caramelised onion, cheddar and sriracha cream. One good thing about Stanley Street in the Telok Ayer precinct is the mix of restaurants in the area. You have swish establishments like Lerouy and Gaig and then there's the affordable eats like Kamal's Restaurant. When dining here, opt for their biryani – the fried chicken biryani being the special here. 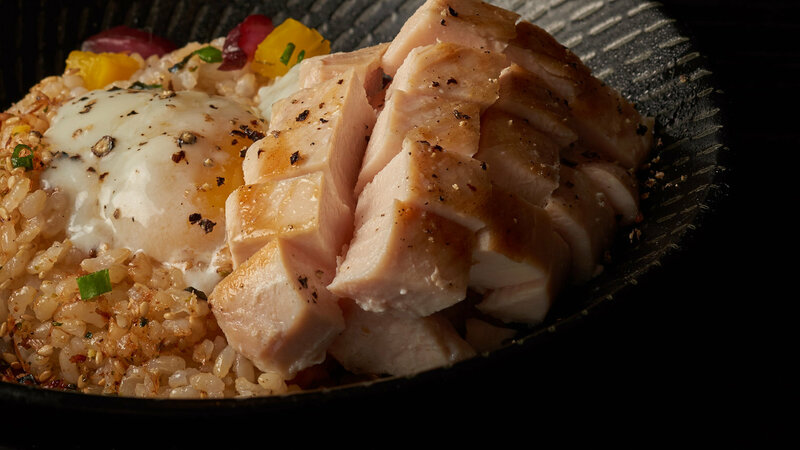 The rice is fluffy and flavourful and the chicken comes with extra crispy bits. It can get dry but there's the side of curry for dipping and extra flavour. 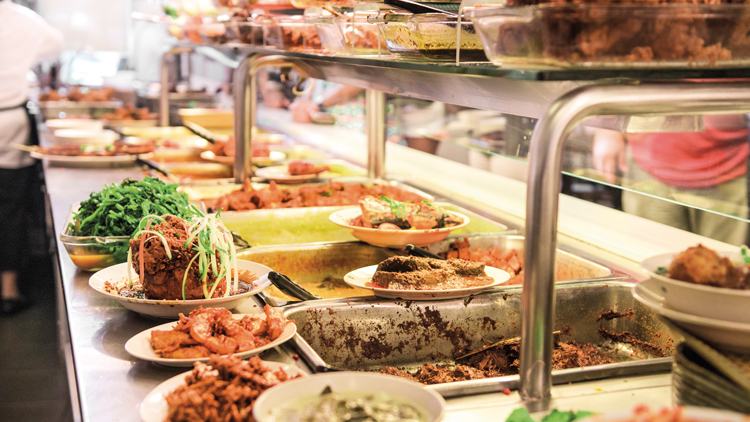 Cutlery is optional for a gastronomic affair at Komala Vilas. 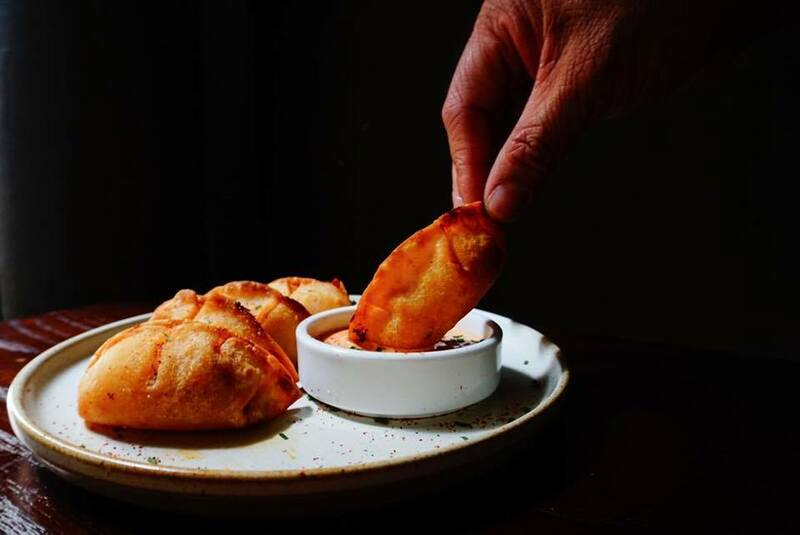 We even urge you to literally get down and dirty with your (clean) fingers when digging into the Indian vegetarian restaurant’s Dosa Meal. Served with a trio of vegetables (sambar, chutney and kulambu) and a slew of curries and gravy accompaniments, the set’s star is clearly the massive dosai that is too large for even its plate. 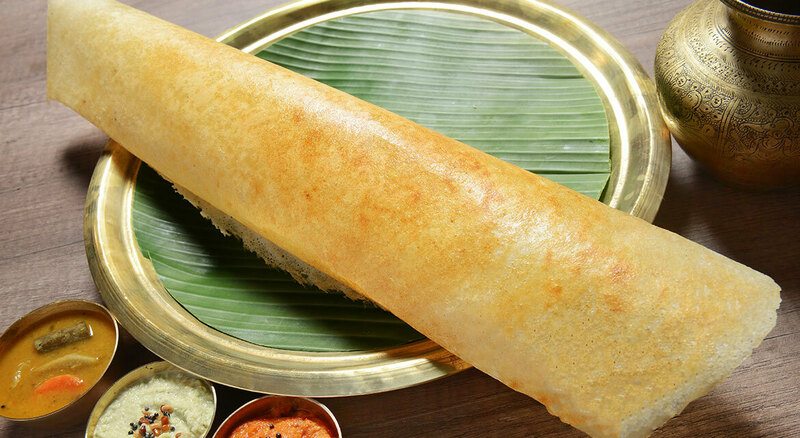 You can choose crispy paper dosa, or the masala potato option at no extra cost. 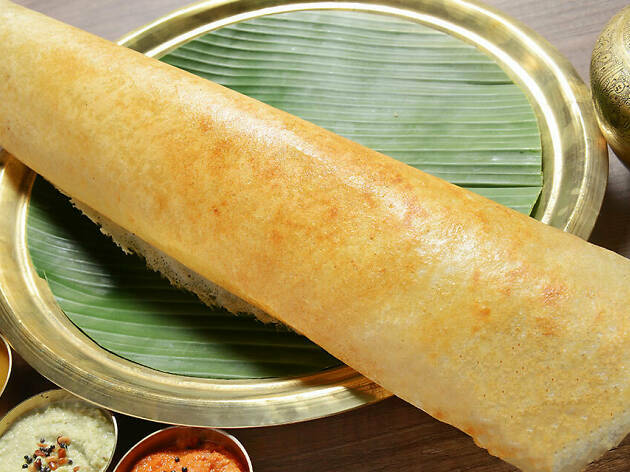 Crisp at the edges, yet incredibly soft and chewy on the underside, the dosa is one gut-stuffing indulgence that is worth every cent. If the set’s too much to handle, you can order the masala dosa and paper dosa on their own at $3.90 and $4.20 respectively. 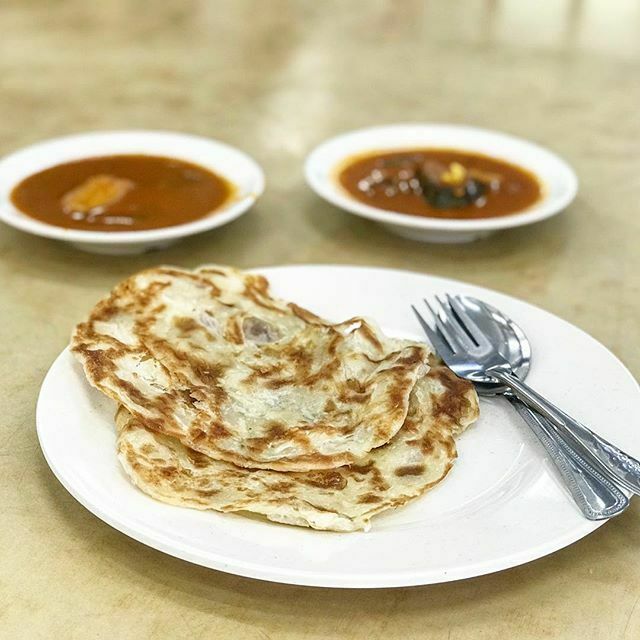 Fickle-minded is Mr Mohgan who first gave many a panic attack by selling off his business out of the blue, before changing his mind and later opening up Mr and Mrs Mohgan’s Super Crispy Roti Prata version 2.0 at Tin Yeang Restaurant. 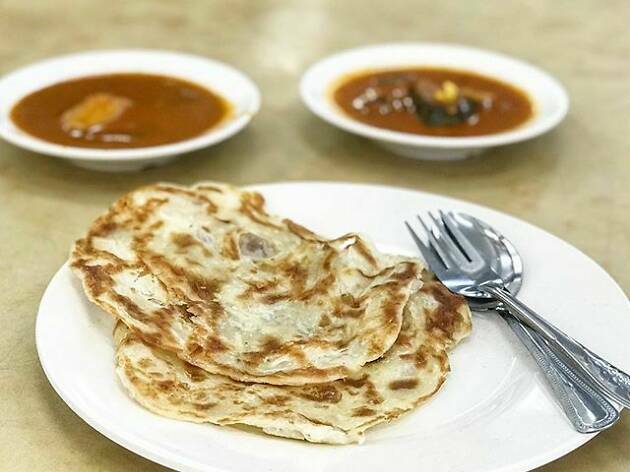 While the beloved dough discs are generally known for offering a budget meal, the husband-wife duo’s roti prata is one you should try for its crackling crispiness. Savoured alone, but also fantanstic with curry, the roti prata also comes in various renditions such as the prata plaster ($1.50) that includes an egg with a runny yolk, and coin prata ($5 for six). 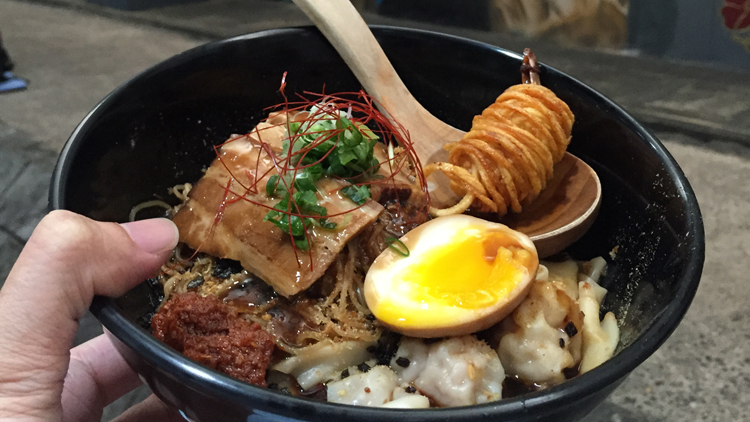 Chinese comfort food at its best, you'll find all it all in a bowl of wonton mee here. 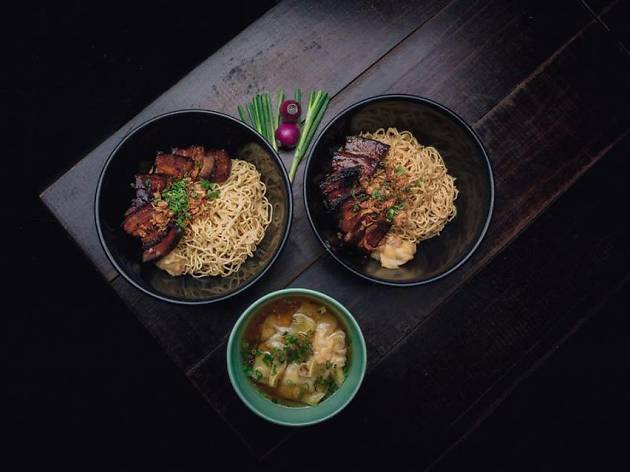 It might cost a tad more than a standard bowl at any coffee shop but take a bite of the torched char siew, springy egg noodles, tender pork belly, and famous peppery boiled wontons (the recipe has a five-decade legacy) before you make your judgement. Of course more helpings of the chilli sauce, caddy of oils and lard crackers help as well. 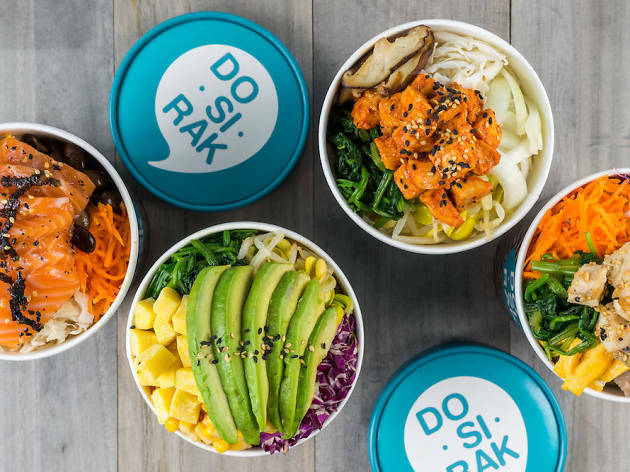 The fun part at DoSiRak is creating your own Korean-style lunch bowl that's healthy too. 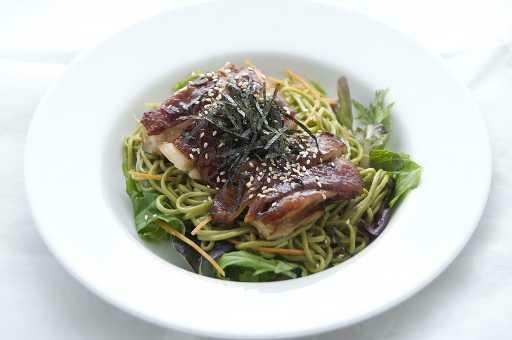 Pick your protein from options like our favourite, spicy chicken in gojuchang sauce, beef bulgogi, seared tuna and more. The standard serving packs white rice into the bowl, but add $1 and you get the option of brown rice and soba noodles too. Top it up with more add-ins like an onsen egg ($1) or avocado ($3) if you're feeling fancy. Remember to shake the box to mix the sauces properly before you settle down to eat. The first branch to open outside its popular KL branch, the simply-named store along China Street still pulls the queues during lunch time. 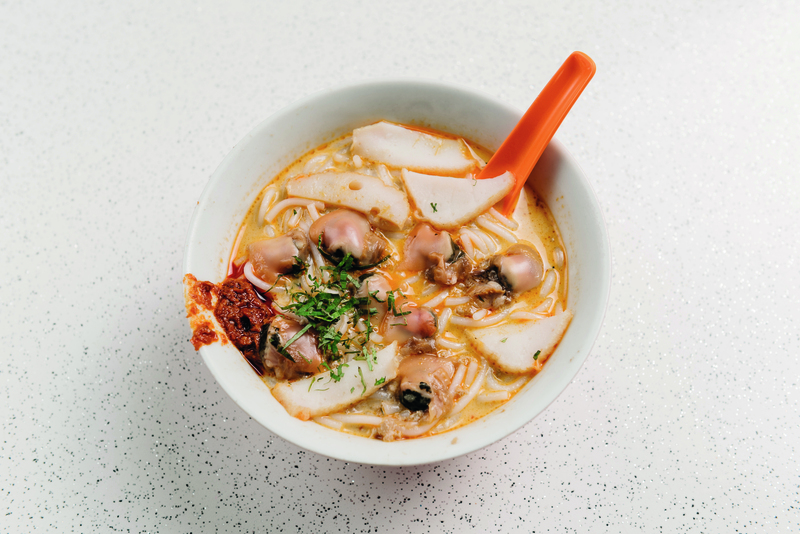 Their menu is simple with only a few main dishes but most go for one thing: the chilli pan mee. 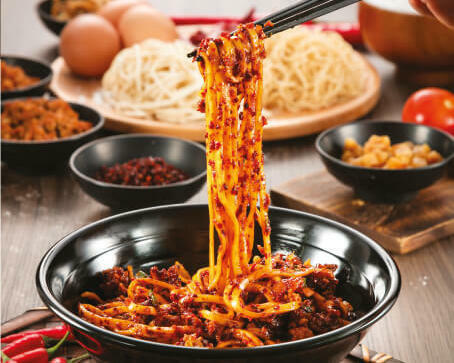 The make up of the dish is simple really, with handmade noodles, crunchy fried anchovies, shredded mushrooms, fried shallots, a runny egg and the main thing, the potent dry chilli. It also comes with a side of clear soup with sweet potato leaves to bring down the heat. Only downside is the long queue and wait so leave the office early. 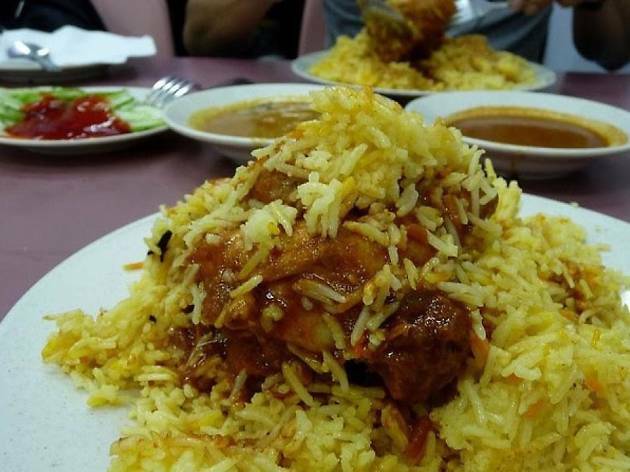 While it's know for its special murtabak, the briyani is an underrated dish on the menu. Zam Zam makes its version Hyderabadi dum style where the meat is cooked together with the orange-flecked basmati, which makes the rice that much more fragrant. And then order a side of murtabal because it really is that good. 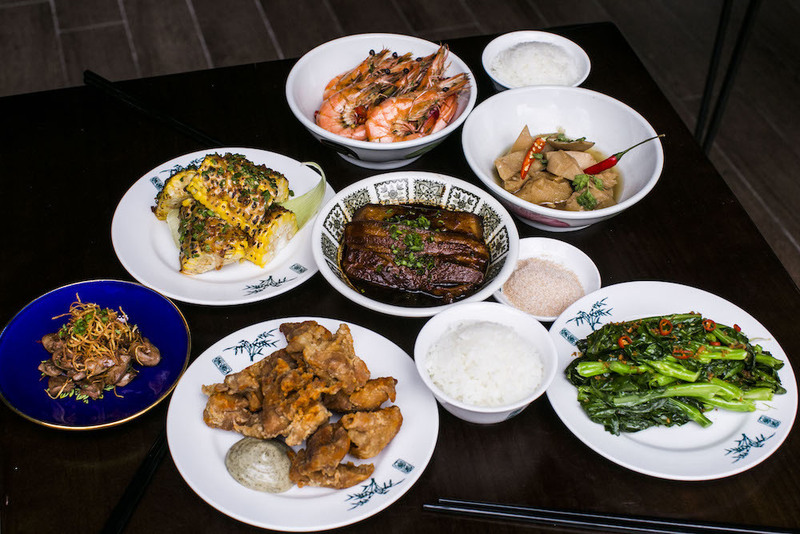 We're familiar with the snack stands everywhere but for the first time, Old Chang Kee opens a proper sit-down retro restaurant serving some proper dishes. 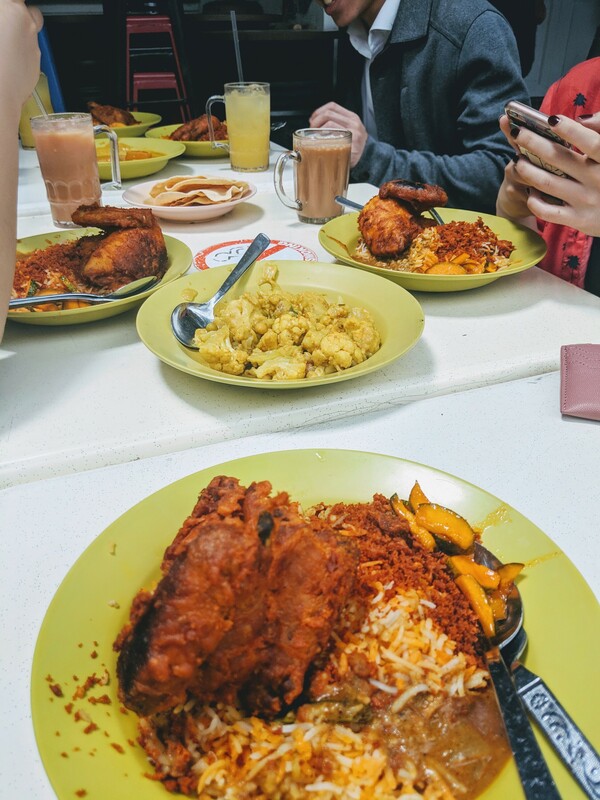 On the menu are local favourites like curry chicken and nasi lemak, as well as economical bee hoon, mee siam and more plus the real snack bar so you can top it off with your favourite curry puff or sotong ball. The stand out here is defitnitely the dry laksa goreng which tastes just as rich as the gravy version with huge chunks of chicken and shrimp. 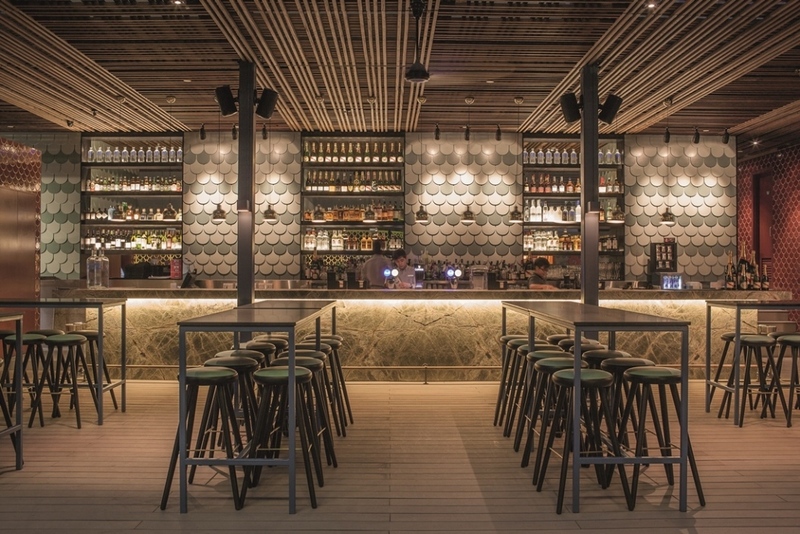 Fans of Five Ten on South Bridge Road, you can breathe a sigh of relief. The Salted Plum is a reincarnation of the popular joint that pretty much sells the same thing at the same price of $5 or $10. There's the tender and unctuous lu rou ($10), pork belly is slow-cooked with spices that's also available as a rice bowl served with a sous vide egg and kai lan during lunch. Other popular sides include Taiwanese fried chicken ($10) and sausage patties ($10). 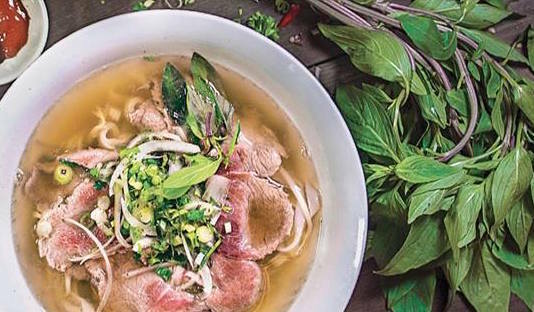 Head over to this quaint Vietnamese restaurant to satisfy your pho cravings (even if you’re on a budget) – its best-selling sliced beef pho ($9.90) and chicken pho ($9.90) both come just under $10. Mrs Pho also serves up other value for money entrées like vegetarian fried rice ($9.90) and a Yaya Papaya Salad ($9.50) that comes topped with prawns and seasoned minced pork. 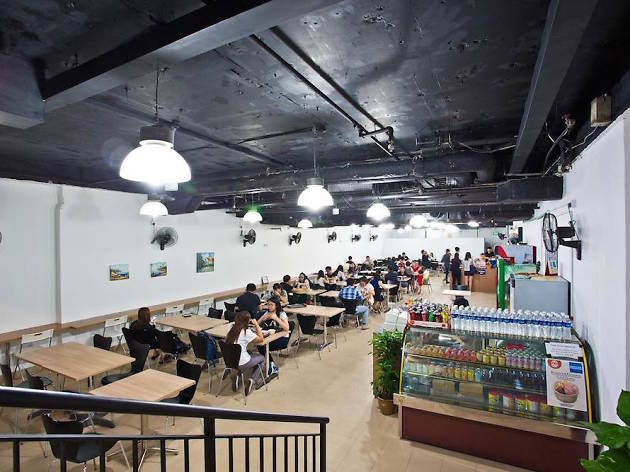 Mains at this casual Korean restaurant range from $6.50-$10. 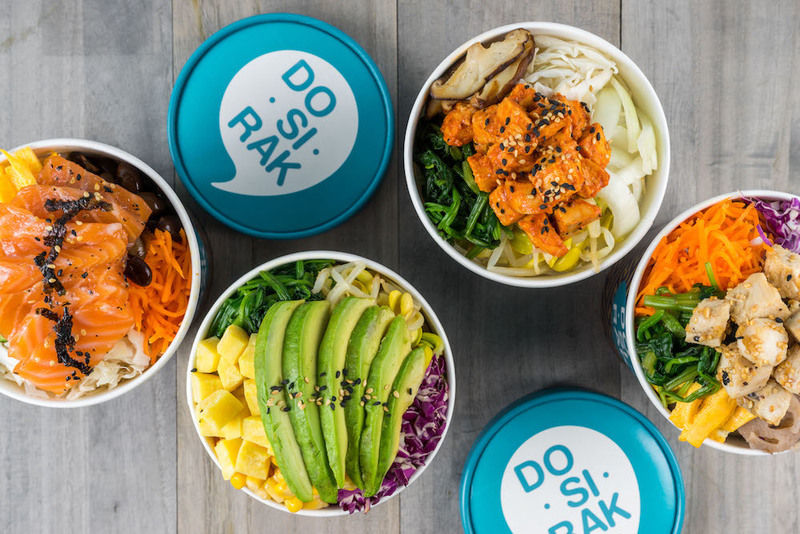 Choose from a wide variety of protein-based options – fried saba fish ($8), spicy shredded chicken ($8) and cuttlefish ($9.50) to name a few – or order yourself a comforting bowl of kimchi soup ($7.50). Portions here are sufficiently generous but an additional $1.50 gets you an accompanying bowl of signature red bean rice. Bringing the bagel craze to our shores, Two Men Bagel House presents itself as a quick and affordable lunch option amid the otherwise pricey Central Business District. Here, the dense and chewy bread comes either savoury or sweet, with prices starting from $2.60. 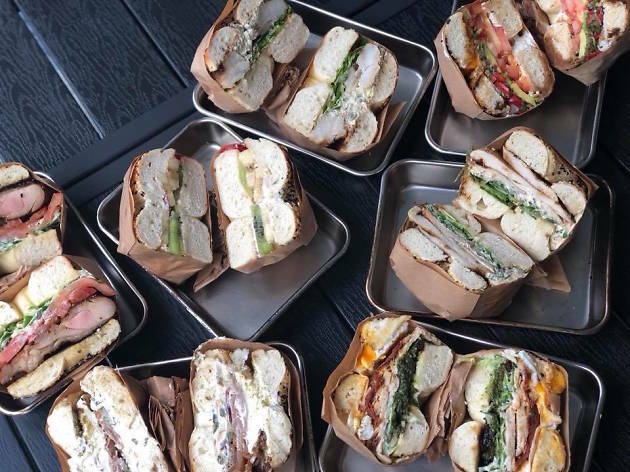 All-day breakfast bagels like the Gypsy Ham – a winning combo of black forest ham, crispy bacon, egg and hashbrown – and the Egg-Boca – egg salad, bacon jam, scallion, hippie greens and mayo – go at $10 each. 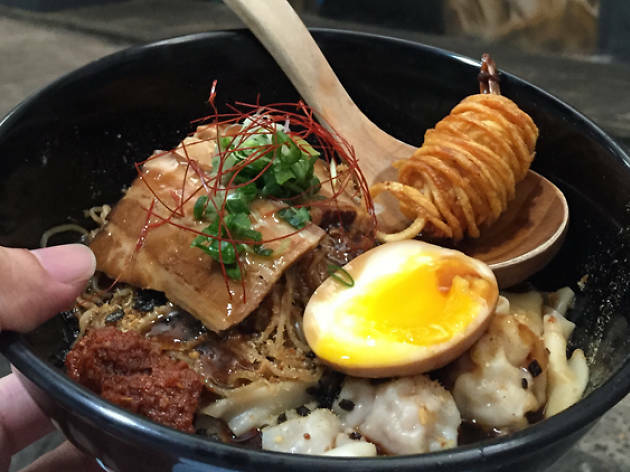 For healthy and affordable build-your-own bowls in the CBD, hit up Wafuken at either Asia Square Tower 2 or OUE Downtown Gallery. 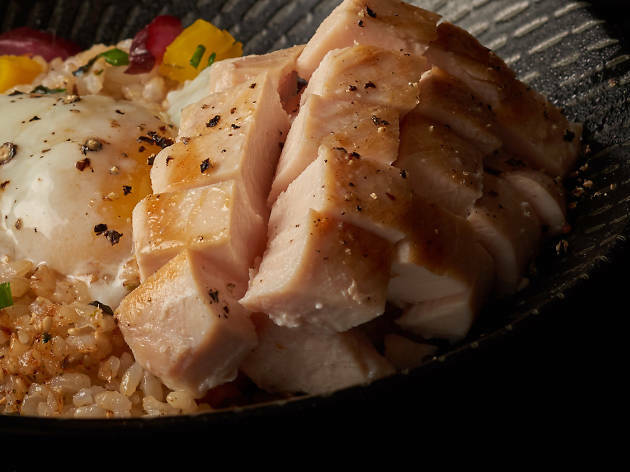 A plain donburi ($4) – choose between furikake Japanese brown rice or white rice – is served with onsen egg, daikon and cucumber pickles and you can choose to add on protein options like sous vide chicken breast ($4) to make a bowl that still comes in at under $10. 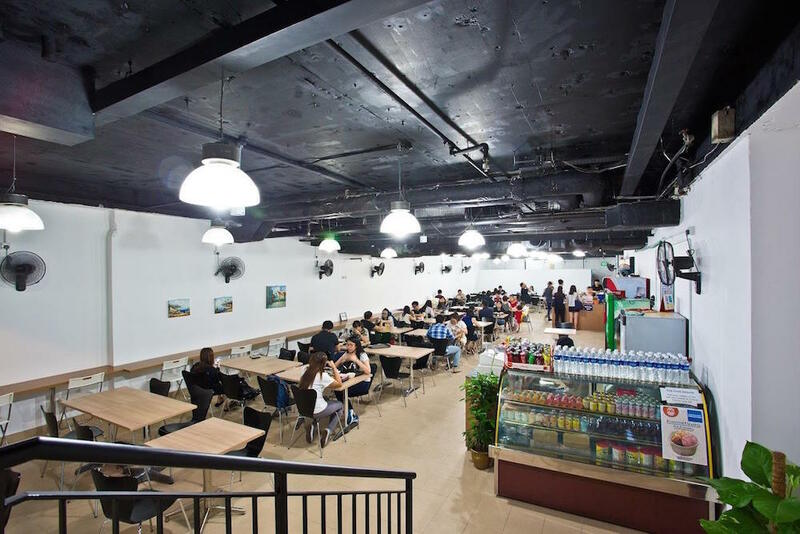 This quick service healthy food joint has been a firm favourite among people working in Raffles Place for a long time. And now it's opened a new outlet at Marina One. The new outlet has more "Design Your Own Bowl" options but the Bull Run Soba ($8) is a no-brainer for when you're in a rush. 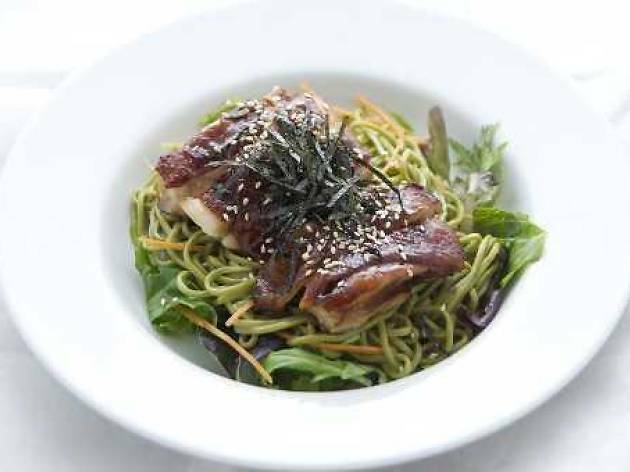 Served with grilled teriyaki chicken, green soba and salad, this meal comes in at under 500 calories for those watching their weight. It’s got one of the longest queues at Amoy Street Food Centre, and for good reason. The ‘Singapore-style’ ramen the two young lads at this stall whip up is like a cross between wonton mee, mazesoba and magic. Over springy mee kia tossed with a moreish and slightly sweet chilli oil, they pile sous vide char siew, wontons, a potato-wrapped prawn, spring onion and an onsen egg. 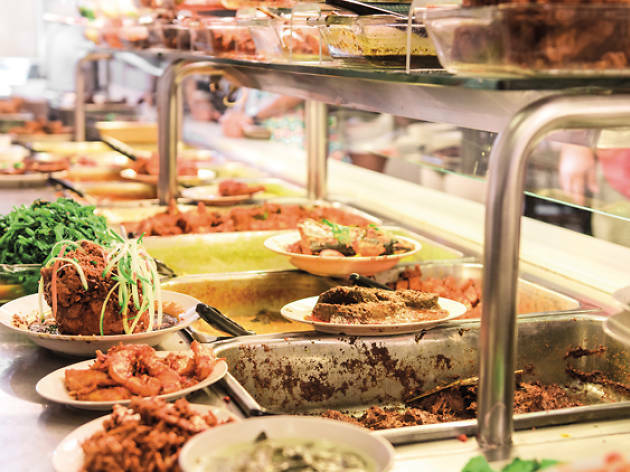 The queue at this nasi padang restaurant stretches out the door even before lunchtime hits. We can't blame the crowd, though, as only the early birds get the worm. Or in this case, stellar beef rendang and sambal goreng. Also, don't miss out on the tauhu telor that sells out fast. Aside from quintessential nasi padang dishes, there are also rarer ones like lemak siput sedut, sea snails swimming in a coconut-rich broth. 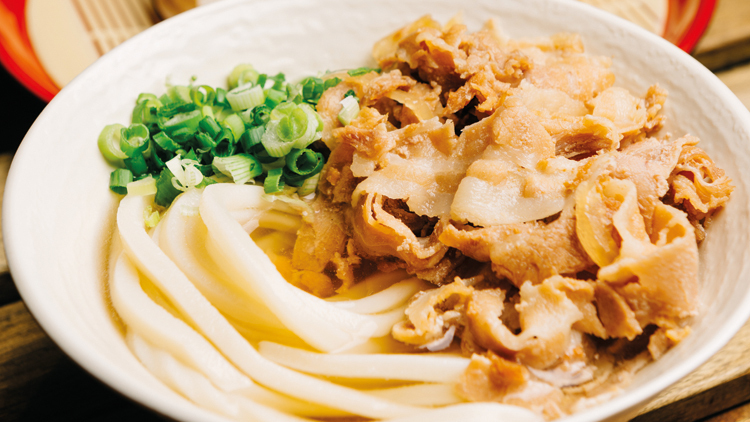 Clinching the ‘Best Udon Maker of Kagawa Prefecture’ in a Japanese TV show, Tamoya pulls thick wheat flour noodles that are a result of blending three types of flour and adjusting the amount of salt to our city’s humidity levels. Pick from hot or cold dishes – prices range from $5.80 to $13.40 a bowl, but only the beef, pork and curry udons will set you back more than $10. Once you’ve made your choice, pick up a veggie ($1) or prawn ($2.50) tempura to accompany your bowl. Our favourite? 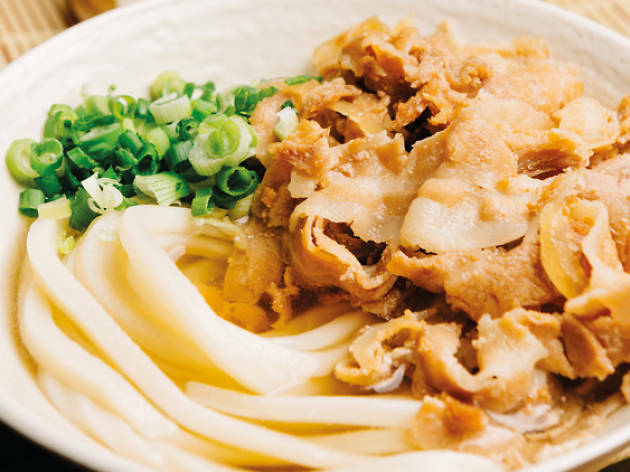 The pork sanuki udon ($9.80) – its light broth complements the salty-sweet pork perfectly. The shop name says it all. 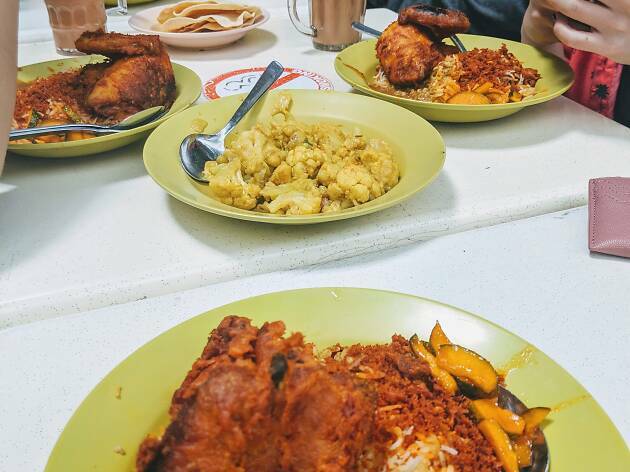 With only one thing on the menu, this humble eatery still rakes in long queues every day. 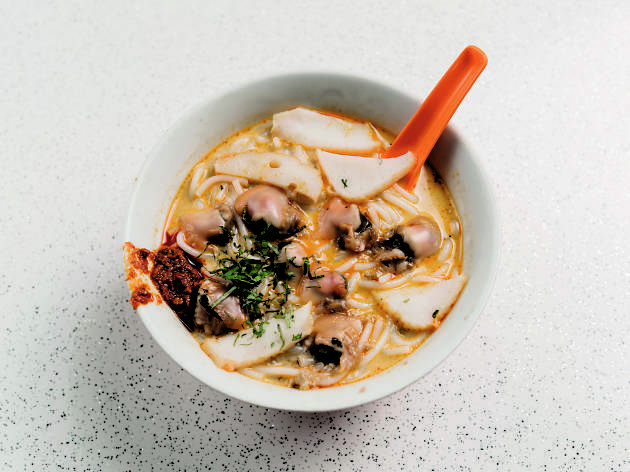 The laksa gravy, cooked over charcoal, is light and not too spicy – that’s what the sambal is for. Stir it in if you want more heat in your bowl ($3). Topped only with fishcake and plump cockles, you’ll polish off a bowl in under 5 minutes. 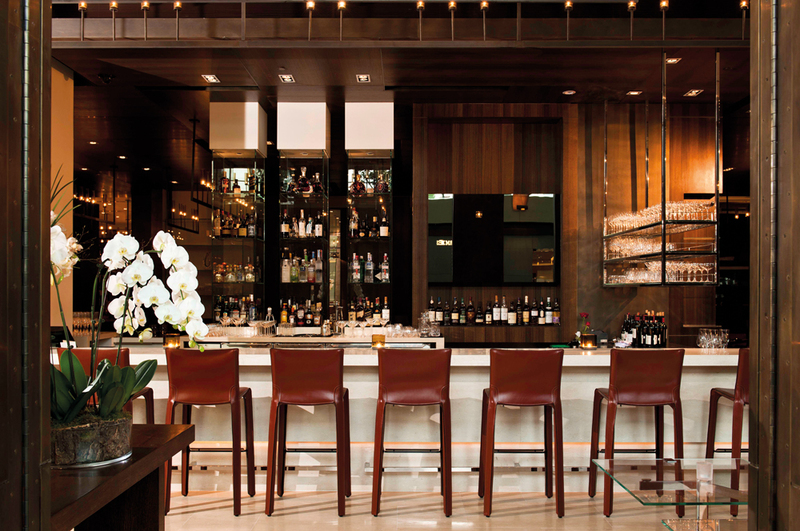 Take happy hour to the next level with these cheaper deals. 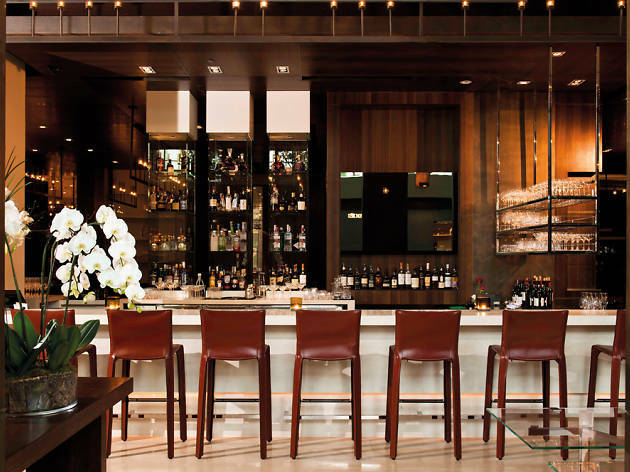 We present five ways to say you've dined at a celebrity chef restaurant – without going hungry for the rest of the month.